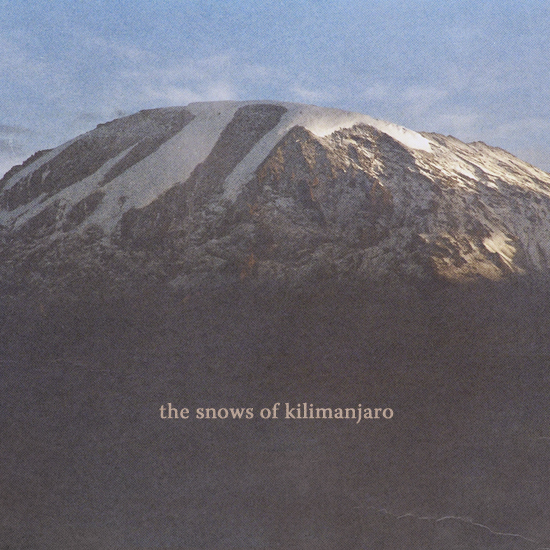 Currently viewing the tag: "the snows of kilimanjaro"
Sunrise to sunset, the end has come and gone. Get there through the image above or here. 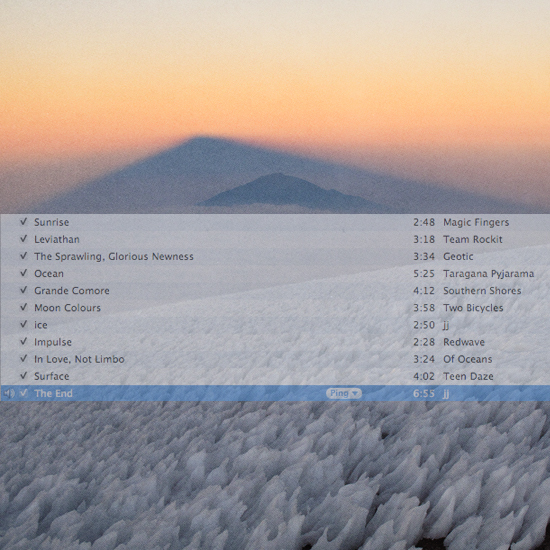 Tracklist, on display.